Remember Chip’s Challenge? Jezzball? FreeCell? Minesweeper? Listen, I’m sure there will be some people excited by this news. 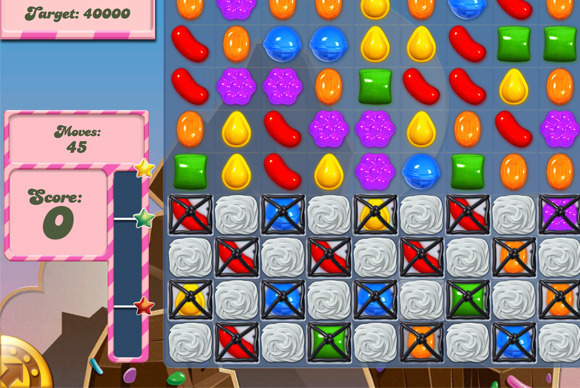 Candy Crush Saga has millions of users for a reason, and that reason is that it exploits your easily-exploitable human psychology and tricks you into wanting to play it. (And buy those in-app purchases, of course.) Nevertheless, people like it! And that’s good for Microsoft! But it’s the “pre-installed” bit that sticks in my craw. It’s a staggering reversal from Windows 8, where even first-party apps like Solitaire and Minesweeper were banished to the Windows Store—the correct move, in 2015. For anyone who doesn’t want to play Candy Crush Saga, this is bloatware plain and simple. Third-party bloatware. To have it included in clean installs of Windows 10 because of, what, a revenue-sharing deal? Disgusting. OEMs already stick enough garbage on computers without Microsoft aiding them at the operating system level. We’ll update you as soon as we hear what other fun surprises Microsoft is embedding in Windows 10. If we’re lucky, maybe each copy of Windows 10 will also ship with Superfish.